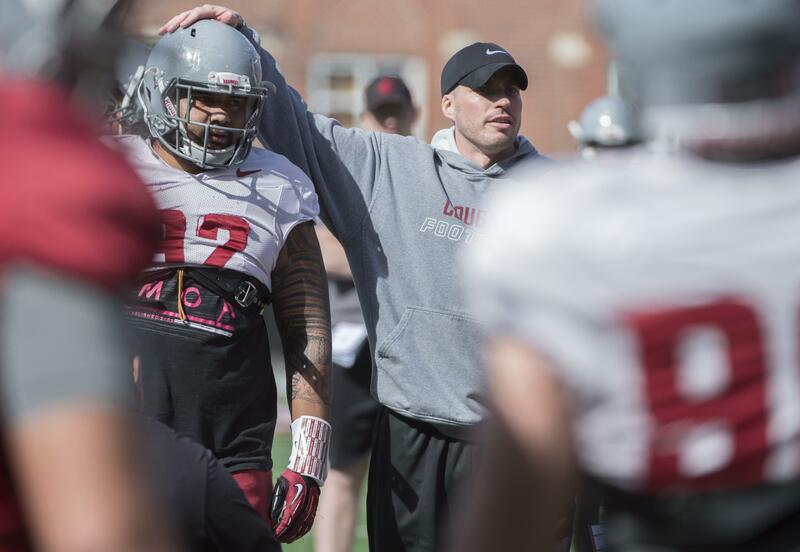 WSU’s defensive coordinator search following the 2014 season lasted longer than anyone predicted, and was more successful than any but the true Pollyannas dared to dream. Alex Grinch, who two years ago was the safeties coach at Missouri, took less than a season to overhaul the WSU defense. Former starters were relegated to the bottom of the depth chart, schemes were made more complex but clearer to the players, and the Cougars started moving before the snap. More than anything else, Grinch brought a sense of purpose to the defense. That purpose was to create turnovers. And that’s exactly the affect Grinch had on the defense. The Cougars won nine games last season because the defense forced 24 turnovers, triple the 2014 tally. The team beat Miami in the Sun Bowl thanks to two late takeaways when the Hurricanes offense was in prime scoring position. Now that Grinch has a full year under his belt and a deep, talented secondary that knows his system, WSU’s ball-hawking ways should be even more apparent this year.